Moraware is making their products more valuable with a new responsive, tablet-friendly interface that’s quick and easy to use in the field. Systemize and CounterGo from Moraware help countertop fabricators create quotes and manage their work. The two web apps work together, allowing fabricators to lay out and spec countertop projects, and keep track of their inventory, quotes, projects, clients, etc. Systemize and CounterGo had received many incremental improvements since their initial release in 2002, but no major visual update. Moraware’s customers had started using the software on phones and tablets, and the company wanted the system to work seamlessly on these devices. Moraware worked with an interaction designer to plan their responsive, mobile-friendly approach, and they did code updates in-house. They came to Atomic Object for a complete visual redesign of Systemize and CounterGo. 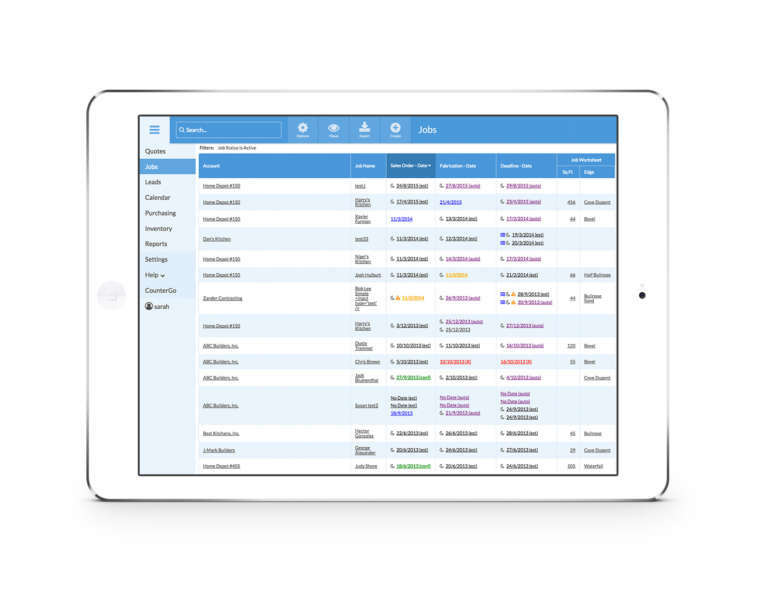 The new CounterGo and Systemize are designed for tablet users. The new responsive interfaces use space efficiently, with easy-to-use navigation and inviting colors that decrease eye strain. They’re also backward compatible to work for all users, regardless of the type (or age) of their device.